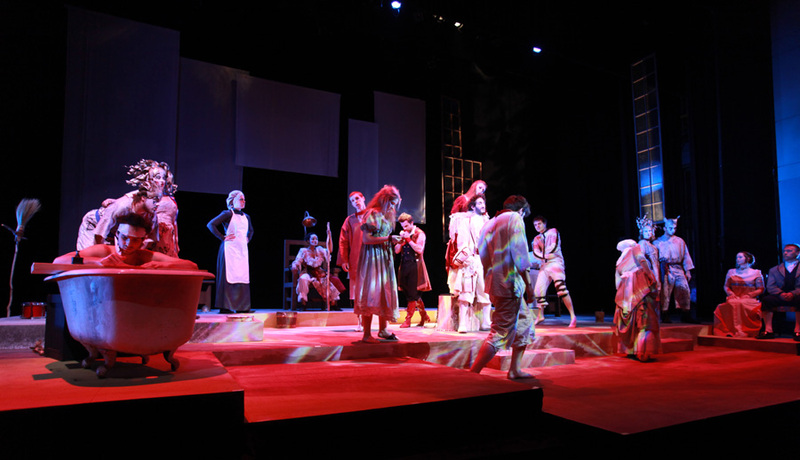 Commedia dell’ Arte is an older theatre style, but it allows students the opportunity to be innovative. Commedia dell’ Arte teaches kids physical discipline, spontaneous use of their imagination, and the ability to think on their feet. Most importantly, it teaches children how to cooperate as a team and collaborate effectively. 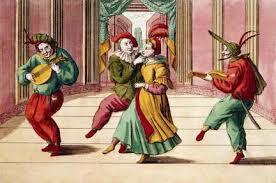 Commedia dell’ Arte originated in Italy in the early 16th century and immediately became popular all over Europe. It has had a strong influence on various performing arts forms such as opera, vaudeville, musical theatre, and even the sit-coms of today. By the 1520s, performers of the Zanni character type were entertaining viewers with a style that appears to be early Commedia. 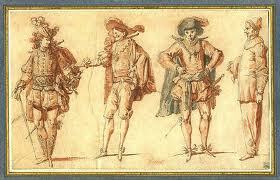 Masters (or Old Men) were eventually added into the scenes to give orders to the Zanni. On February 25, 1545, in Padua, Italy, Ser Maphio’s performing troupe signed a letter of incorporation launching itself as a professional business. This was a significant landmark in theatre history as “show business” was born when artist managers began to create professional demonstrations for making a living in the theatre world. In 1566, Vincenza Armani, a Commedia performer, became the first professional actress recorded in history, marking the start of the Age of the Actress. The arrival of the actress in Commedia dell’ Arte initiated a new character type: the male and female Innamorati (or Lovers) who became the children of the Old Men. This addition allowed Commedia troupes to engage in more complex storylines revolving around the hindered dreams of young Lovers. This story is most famously seen in Shakespeare’s Romeo and Juliet. The arrival of the actress also instigated a new tradition of unmasked characters in the stories. Although men had previously played female characters wearing hideous female masks, actresses (reportedly having beautiful faces) performed without masks. Then actors playing the male Lovers did the same. Eventually, even more unmasked characters were added into a scene, including a male servant who was played in white face. This comic character inspired the white-faced circus clown and the white-faced pantomime of today. Commedia dell’ Arte actors took advantage of their own skills and improvised in showcases wherever they needed to, so the portrayal of Commedia dell’ Arte as “street theatre” is actually a fabrication (although outdoors was the preferred location to perform). 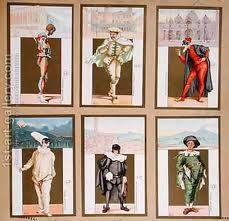 The traveling troupes consisted of about twelve professional actors, and there were no directors or playwrights. 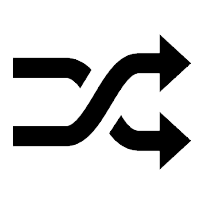 A scenario or scene outline was announced to the actors by the company manager (the capocomico), and at every show, the actors would then improvise a different performance that was grounded in that scenario. Commedia troupes had performed all across Europe by the early 1700s, and Commedia characters even appeared on New World stages. In 1750, Commedia dell’ Arte (up until this time referred to as “Improvised Theatre” or “Italian Comedy”) officially received its name. It was finally hailed as “Professional Theatre” by Carlo Goldoni in his treatise Il teatro comico (The Comic Theatre). Commedia performers of today are proud of the christening, but Goldoni was actually mocking their tradition. He did indeed bring about necessary theatrical reform through his success as a comedic playwright, but it is also stated that he damaged the art form. He hired Venice’s best Commedia actors to perform his A Servant of Two Masters but he did not allow them to use masks and he required them to utilize his written script rather than improvise. This comedy has since been adapted into the infamous play One Man, Two Guvnors by Richard Bean. Despite its downfall, popular entertainment of today, such as the Marx Brothers, Monty Python, and Mr. Bean, are all connected to the theatrical history of Commedia dell’ Arte. In Part II, I will include some fun and effective exercises that can be used in the classroom. 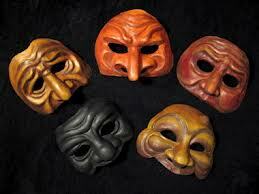 The wonderful aspect of Commedia dell’ Arte is that it is the backbone of theatre of today. It has a fascinating history with the variety of character additions and the general development of the art form. If teachers introduce the history of Commedia first, students will have a greater appreciation for the art form while performing the activities associated with it. I’m doing the commedia with my grade 9 students. Thank you for sharing this great article. 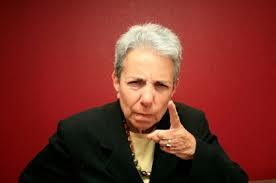 Btw, do you have sample of canovaccio that can be used for the students?